International Fibre Art Exhibition “Fibremen 5” open to all professional male artists, working in fibre. 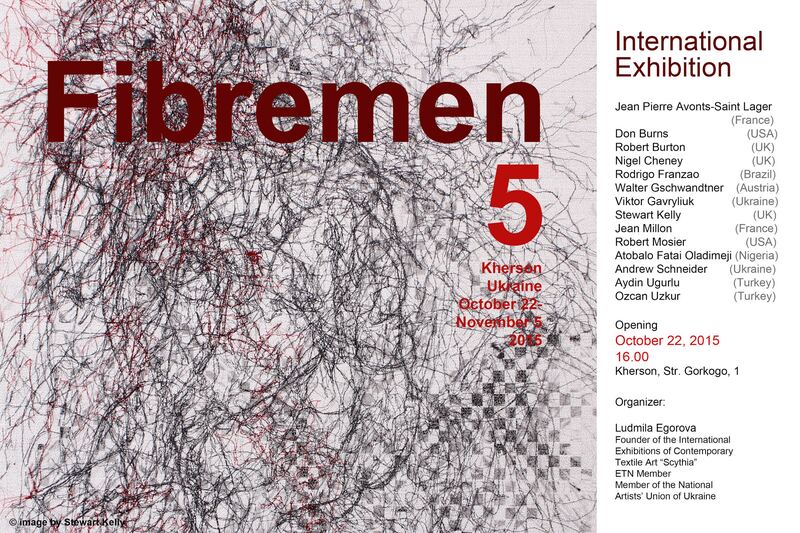 International exhibition “Fibremen”, which takes place in Kherson, Ukraine featured male artists working with fibre. This exhibition is designed to broaden the awareness of male fibre art and consider their works within a broader context of art history. The motto of “Fibremen” is devotion to textile art. The exhibition offered the viewer both visual and intellectual pleasures. The youngest participant of “Fibremen” is 21, the oldest is 73, which confirms the interest to this media of different generations of artists. Fibremen used a variety of materials and techniques to create their art works. The sizes were from 25 centimeters to up to 3 meters.